The Lippert Gulch Ranch is unusual in its multitude of highly desirable Montana ranch features. It possesses easy access, abundant wildlife, diverse on-ranch and proximate recreational opportunities, all on a ranch that is in excellent condition. 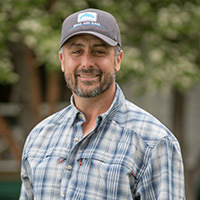 Raised in Montana, Ryan has enjoyed a lifetime of outdoor experiences including hiking, skiing, bow-hunting, bird-hunting, fly-fishing, and photography. Ryan has a passion for nature and its many attributes which gives him tremendous appreciation for, and the desire to help preserve, the extensive network of land and water that are so important and beneficial to the West and those who live here. Ryan has been licensed in Montana since 2000 and has an extensive background in high-end ranch real estate. He is proficient at handling complex deal structures and developing solutions with successful outcomes for both buyers and sellers. A vast knowledge and love for the outdoors, along with a high skill set in collaborations with real estate ventures, help drive his desire to be one of the best brokers working in the ranch real estate market. He currently resides in Bozeman, Montana with his wife and two sons. Dave has been a licensed and practicing real estate broker for 39 years, the past 25 with Hall and Hall. He represents buyers and sellers in multiple western states. Dave is a private pilot and an avid outdoorsman — enjoying big game hunting, horse trail riding, wing shooting and fishing. He is also a dedicated husband and proud father of two adult children. Born in the Middle East, where his father worked in the oil industry, from age seven Dave was raised in small towns in northern California’s central and coastal valleys. Dave graduated from the University of California, Davis with a B.S. in Agricultural Economics. Subsequently, he brokered commercial real estate for a dozen years in the Silicon Valley. In 1992, he joined Hall and Hall. 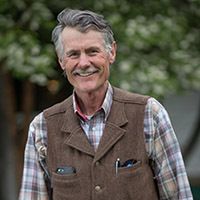 Recently Dave helped direct the Gallatin Valley Land Trust for six years, two of those as its President. He is also a past Director and President of his local church. Lippert Gulch Ranch is a 3,400± acre recreational mountain ranch with emphasis on its hunting resources. It has large populations of wildlife, especially trophy class elk and mule deer with over-the-counter hunting tags available. Hungarian partridge and sharp-tail grouse are also abundant. The terrain is varied and aesthetically pleasing - easy to access on foot, horseback, or vehicle. A large recently remodeled home and guest/bunkhouse are ready to use. Income from a lease to a neighbor covers basic operating costs. Townsend, with its restaurants and services, is eight miles by paved highway. The ranch enjoys an enviable location within easy driving range – less than an hour – of Bozeman, Helena and Canyon Ferry Lake. The Lippert Gulch Ranch is a single block of land lying in the foothills of the Big Belt Mountains and the Helena National Forest. While the ranch fronts on State Highway 12, access is off the highway on the Lippert Gulch county road. Multiple parcels of cropland are disbursed throughout the ranch. These, together with the live creeks, springs, and a pond, attract and nourish wildlife. Timbered and brushy draws, too numerous to count, line the two miles each of Lippert Gulch and Cottonwood Creek. This wildlife habitat – food, water, shelter – creates a wildlife enthusiast’s haven. Tree and large bush species include black cottonwood, red ozier dogwood, quaking aspen, Woods’ rose, chokecherry, yellow willow, and snowberry. Also included are Douglas fir, Rocky Mountain juniper and limber pine. The Lippert Gulch Ranch is located approximately eight miles east of Townsend on the southeast side of Canyon Ferry Reservoir, on paved State Highway 12. The ranch lies to the north of the highway. Highway 12 connects to Highway 287 in Townsend and continues northwesterly, providing access from the ranch to Helena, about a 45-minute drive away. 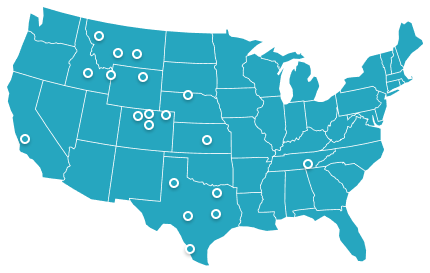 Bozeman is also easily accessible, within an hour’s drive south, along with Bozeman Yellowstone International Airport. Extensive private and commercial air service are available in both Bozeman and Helena. The area that is bounded by the Canyon Ferry Reservoir on the north and west, and the Big Belt Mountains to the east consists of a series of mountain ranches that offer back-door views of and access to one of Montana’s more intimate mountain ranges, as well as front-door views across the lake to the Elkhorn Mountains. The area was made famous in the 1860s and 1870s for the gold placer diggings. Montana Bar in Confederate Gulch was once called “the richest acre of ground in the world.” Currently the area is better known for trophy elk and top-quality mule deer hunting in the Big Belts, as well as quality ranching operations. One of the greatest benefits of this area is that it is not on the main road to anywhere, yet it is easily accessible from both Helena and Bozeman with a paved road right to the ranch. Townsend is a very attractive small town, which provides most basic services and is only eight miles away. In short, this is a very well-located and easily accessible ranch by Montana standards. The Lippert Gulch Ranch sits at an elevation of around 4,500 feet above sea level, in an area that tends to have open winters with little snowfall accumulation. The ranch lies in an area that is estimated to receive around 13 inches of annual precipitation. The hottest month of August has average maximum temperatures of 82 degrees Fahrenheit, but with only 30% humidity, and nights cooling to the 50s. The coldest month of January has an average daytime high temperature of 29. A portion of the north side of the ranch approximating 2,230 acres is included in a conservation easement, leaving the southern 1,170± acres excluded from this easement. The main features of this private agreement include, prohibitions against subdivision, mining, larger commercial activities such as feedlots, logging and retail businesses. The 1,170± acre non-eased portion of the property is available for either development or the donation of an additional conservation easement. A copy of the existing easement document is available from the offices of Hall and Hall. This tasteful 7,200± sq. ft. two-story house was originally built in 2000 and subsequently remodeled. In 2007, the lower level was finished, a new steel roof was added, and kitchen appliances were upgraded. There are three bedrooms and two-and-one-half bathrooms upstairs, and two bedrooms and one bathroom down. The downstairs includes a kitchen, enabling it to be used as a separate living area. There are hardwood floors throughout the upper floor, except for the slate flooring in the entry and kitchen. The home has radiant heat powered by propane gas. This historic building has 1,400± sq. ft. of living area, and a single bedroom and bath. It was remodeled significantly for guest use only, as per the conservation easement. The steel shop building was rebuilt in 2000. A portion of it is insulated, and there is a warm-room with electric baseboard heat and a concrete floor. The haybarn was originally built in the 1950s and remodeled since. It includes an insulated tack room and foaling stall that are heated with electricity. It also features a new steel roof and one frost-free hydrant. Cottonwood Creek and Lippert Gulch course through the ranch for four miles total. Springs on unnamed tributaries are numerous. A beautifully sited small groundwater pond is located on one of the streams. 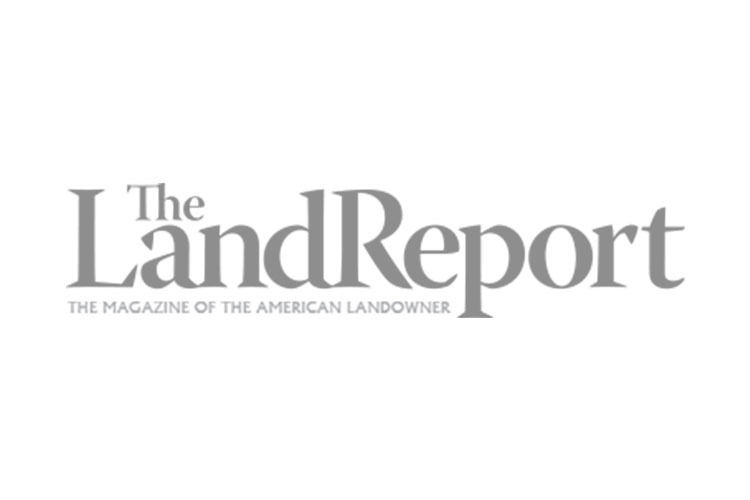 A mineral ownership report indicates the current owner of Lippert Gulch Ranch owns 2,096 net mineral acres. The owner is offering to include in the ranch sale one-half of the minerals he owns. The real estate taxes are estimated to be $6,470 based upon past years. Many types of wildlife are expected to be visible whenever one is out on the ranch. The current owners bought the ranch to use as a hunting ranch for upland birds, as well as elk and mule deer. They have understocked it and protected it for this purpose and they have been very pleased with the wildlife that has moved onto the ranch as a result. Significant herds of elk and mule deer frequent the ranch. A strong population of Hungarian partridge, sharp-tail grouse, dove and turkey also inhabit the ranch. The habitat is particularly conducive to their propagation and proliferation. 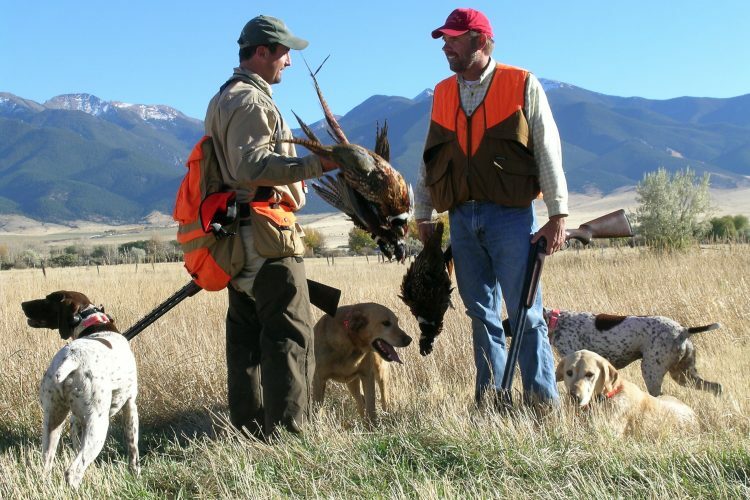 The owners and their guests regularly harvest large elk and deer. Additional wildlife species expected to be seen at any time include a wide range including coyote, black bear, red fox, skunk, beaver, bobcat, cottontail and jack rabbit, mountain lion, porcupine, and pronghorn. Bird sightings are American crow, black-billed magpie, Canada goose, Clark’s nutcracker, great blue heron, Hungarian partridge, mallard, red-tailed hawk, ring-necked pheasant, sandhill crane, sharp-tailed grouse, songbirds, and turkey. The 26-mile-long Canyon Ferry Lake is just eight miles off the ranch boundary. Fishing for walleye, trout, perch and salmon is popular, as is water skiing. 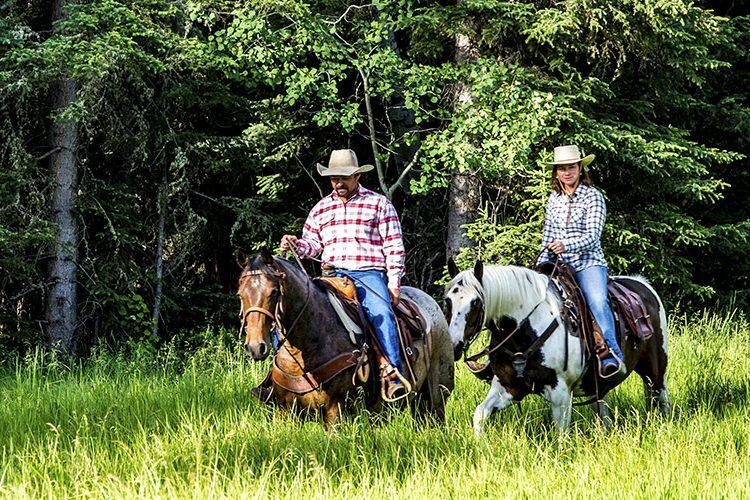 Miles upon miles of nearby national forest lands afford the ranch hunting, hiking, horseback riding, as well as recreating by 4-wheeler or mountain bike. Four backcountry trout fishing lakes in spectacular mountain scenery are within a 20-mile drive or a 5-mile hike/ride of the ranch. The famous Blue Ribbon trout fishing portion of the Missouri River is within ninety minutes’ drive. It offers some of the finest dry-fly fishing in the state. It is only 45 miles to the headwaters of the Missouri where three of Montana’s renowned trout rivers combine. As mentioned earlier, this ranch could not be better located, both in terms of access to attractive towns such as Bozeman and Helena, and in terms of access to Montana’s finest streams and mountain ranges. Downhill skiing at the huge Big Sky Resort is just over a 90-minute drive. Locals also enjoy skiing at Showdown Ski Area an hour’s drive to the northeast. Currently the operations of the Lippert Gulch Ranch are leased to a neighboring rancher. He grazes the ranch with cattle, occupies the buildings and maintains the property – weeds, fences, roads, buildings. He pays the utilities and cost of maintenance except for major repairs or improvements. The ranch owner is responsible for property taxes and insurance, and the income from the lease covers these expenses.